Brianna Newton, nicknamed Brie, is a Biomedical Engineering major from Feeding Hills, Massachusetts. 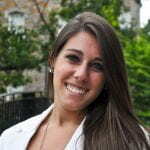 On campus is a member of the varsity field hockey team, captain of the women’s club lacrosse team, and a sister of Phi Sigma Sigma sorority, and an intern in the admission office at WPI. 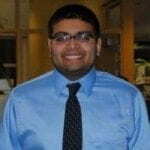 Raj Patel is majoring in Chemical Engineering with a minor in Biochemistry who recently finished an internship with Saint Gobain where he helped start-up a brand new manufacturing pilot plant in Massachusetts. Currently, he is working as a Research Assistant with the WPI Mechanical Engineering’s Surface Metrology Lab where he serves as the student leader for the Ignition Research Project which focuses on different roughness vs. ignition rates on polymers. In addition, he enjoys sharing his time on campus with the club tennis team and the Student Alumni Society (SAS). 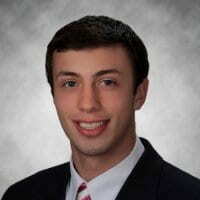 Christopher Savoia is pursuing a degree in Biomedical Engineering with a minor in Bioinformatics. He hopes to use bioinformatics and biomaterials to develop medical devices for use in finding cures to malicious deceases such as cancer.